Spanish wines represent some of the best values on the market, but many don't know how to interpret the label lingo. Understanding what's behind the label terms of D.O., DOC and "Crianza" or "Gran Reserva" will allow consumers to get the most bang for their proverbial wine buck. This is the most strict Spanish wine classification that is pretty analogous to Italy’s DOCG classification. Only the designated regions of Rioja and Priorat have captured this top label honor to date. These DOC regions represent the cream of the crop and the highest quality of wines offered from Spain. Spanish wines with the DO designation let you know that the wines are sourced only from the designated growing regions and have met specific criteria and quality standards. 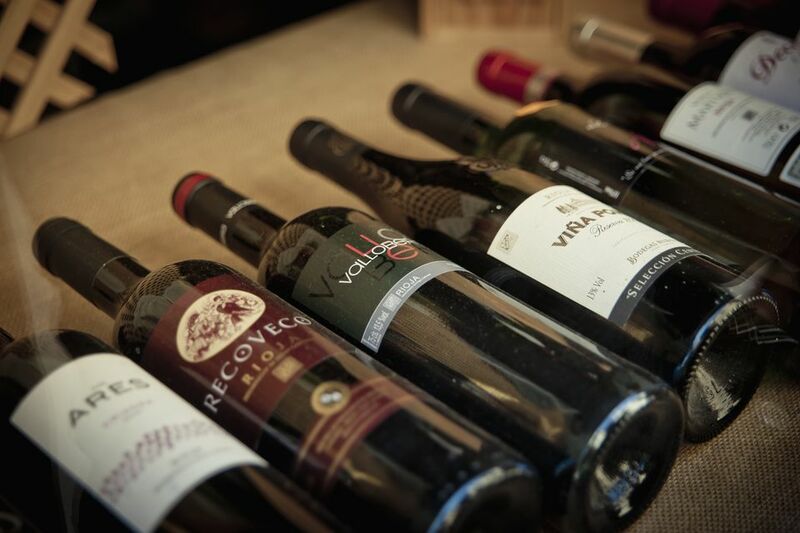 These wines represent good quality wines from over 60 indicated Spanish wine regions. Penedès, Rías Baixas, and Ribera del Duero are some popular DO-designated wine hotspots. These wines can offer outstanding quality and super value, as they are not confined to the strict and often costly governmental classifications. Wines that don’t fall into the above categories are relegated to “table wine” status, and labeled under this quite literal term, “Vino de Mesa.” These wines typically do not include a region, grape or specific vintage on the label. Tucked up into the top of Spain, the Rioja winemaking region is known for producing top-notch red wines based on the Tempranillo grape often blended with Garnacha. There are three distinct quality levels of Rioja wine: Crianza, Reserva, and Gran Reserva. Each level increases the grape quality along with oak and bottle aging requirements. This is a fresh, fruit-forward youthful red wine that is aged in oak for a minimum of one year and then spends another year aging in the bottle. The Crianza is well-priced and averages at around $10 a bottle. Crianza has a reputation for being extremely food friendly – give it a whirl with hot Spanish commodities like tapas. This is an easygoing, everyday wine that will not disappoint and offers good, consistent value year in and year out. The Reserva ups the ante a bit from the Crianza both in complexity and in price. Again, Tempranillo is the dominant red grape and makes its presence known with commanding cherry flavors. The aging requirements for a Reserva are a minimum of one year in the barrel and another two years aging in either the barrel or bottle. The price point for a Reserva ranges from around $15 to over $35, with super value packed into every dollar. Reserva is a very versatile red wine that eagerly complements an assortment of food options. Consider pairing it with grilled dishes, fish, beef, lamb, it’s made for ham (or jamón as they say in Spain). ​The creme de la creme of the Rioja red wines is the appropriately named, Gran Reserva. These wines require barrel aging for two years and must have another three years (minimum) of bottle aging before they are released, making them a terrific wine find as they have already enjoyed 5 years of aging before they may even grace the merchant shelves. The Gran Reserva is not made every year but enjoys its high status because it is only made in extraordinary vintages. The Gran Reserva boasts both depth and body, intrigue without pretense and elegance without breaking the bank, as it starts at around $25 a bottle and rivals many New World reds that are asking triple the price. What Are the Bordeaux Wine Classifications? What Are the Best Kid-Friendly Wineries in Napa Valley?